Category Archives: Just for FUN !! I’ve been shaving for more than 50 years and I’ve had my share of razor battles where my face ended up looking like “my razor attacked me” leaving small cuts and nicks that are just a pain. No pun intended. These skirmishes happened quite often when I tried out a new razor. Well, I think I have discovered the “holy grail of razors”. 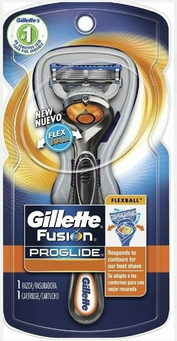 It’s the Gillette Fusion ProGlide that I’ve been using for about 6 weeks. I have a thick beard that can be a challenge if I go several days without shaving. This razor doesn’t care, , , a 3-day old beard is just as easy as shaving each day. Without a doubt, it is the best shave I’ve ever had and only 1 slight nick in all that time which was yesterday and only because I wasn’t paying attention. My fault, not the razor’s. Five blades make the shave smooth and the Flexball handle technology makes navigating the contours of your face easy as can be, , , even challenging areas around your chin and corners around your mouth. I actually look forward to using this razor, something that’s never happened to me in all these years. Most can relate how difficult it can be to get to the area right under your nose. The ProGlide has a special precision trimmer blade on the back side where you simply trim down from the nose. This not only makes it so much easier to get to but does a much better job than trying to shave up the lip to the bottom of your nose to trim a few hard to get to moustache area hairs. With my previous razor, I could not get to this area at all so I used a second old fashion single-blade razor to do the trimming. It was a hassle which caused me to look once again for a razor that would do the entire job and not attack my face so often. I’ve used the same blades for 6 weeks and every shave is still smooth as silk. I’m certain I’ll get at least 2 months with every cartridge based upon my shaving habits. I have to say, this is the first razor I’ve owned that actually makes shaving enjoyable so wanted to share it with you. Bought mine from amazon.com. 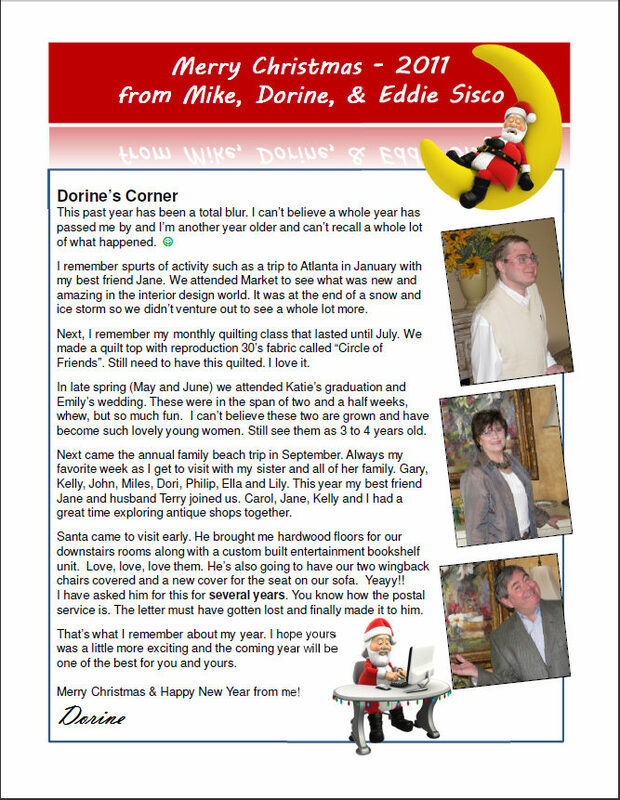 My wife Dorine and I have created an annual Sisco Christmas Letter and sent it out to friends and family for 22 years now. 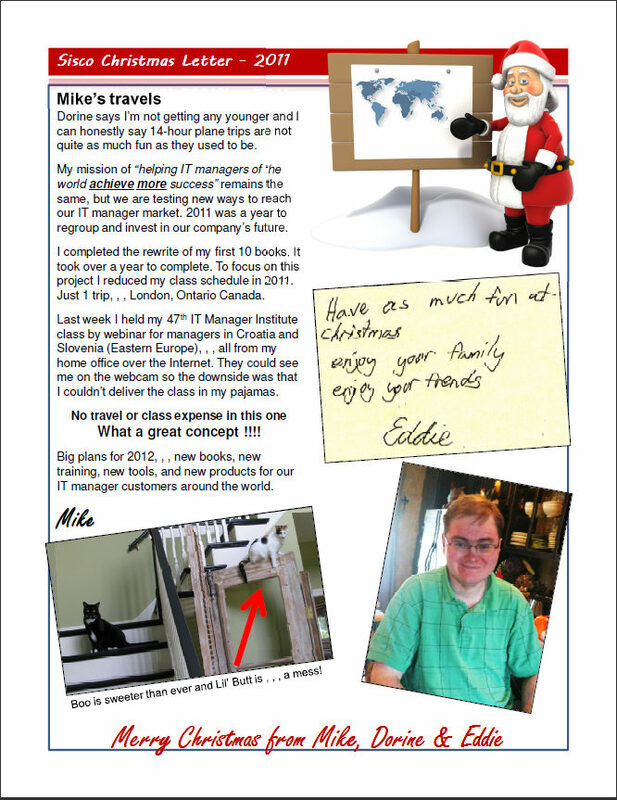 See our latest edition at http://mde.net/XMAS_2014.pdf. I’ve been in IT for longer than anyone can remember (over 40 years), and I’ve seen some amazing progress in computer technology, especially in offline data storage. Got my IT start in the US Marine Corps way back in 1969. 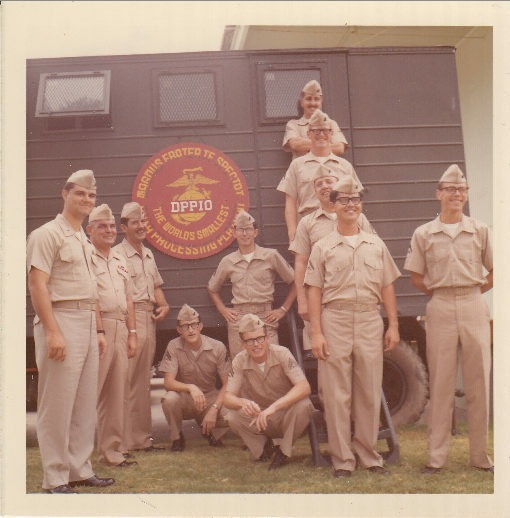 My first real job was 3rd shift computer operator for Marine Corps Base – Kaneohe, Hawaii. Let me describe how far the technology has come in the last 45 years. My computer operator job was to run daily, weekly and monthly reports for the air wing of MCB-Kaneohe, , , it included all types of reports concerning personnel, aircraft, equipment, parts, etc. , , , normal reports like you would expect. At this juncture we used 80-column cards to store information about a record. A “record” might be a jet aircraft or helicopter, a Marine pilot or fireman, or a piece of equipment. 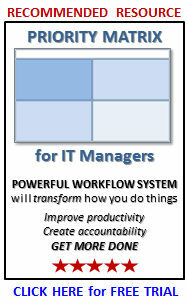 At the end of the month I had to sort the cards and print several detail reports for Marines to manage the business. In one application called FSA (Fleet Stock Accounting), the owners of the data brought me some 50,000 cards every month of all the detail records of their equipment and parts inventory. They were stored in some 15-20 metal trays that held approx. 3,000 cards each. Here is the point to my story – to sort 5 characters of the cards to prepare them to print an Equipment List sorted alphabetically it would take me over ten hours just to sort the card deck so I could then print the report, , , and the computer processing part to print the report took another 2-3 hours, , , that’s 12 to 14 hours just to print a detailed Equipment Report. How long does it take today? Just a few seconds to initiate the report, maybe a few minutes to produce and print it, , , that is if you actually want the printed version. Every end of month I would literally spend an entire weekend in our Data Center to create the monthly reports for this application. External data storage has evolved considerably so I thought it might be fun to take a look at how it took place. I’ve actually worked with everything you will see in the discussion below. Paper is where it all started. Before computers everything was on paper. Do the images below look familiar? The first was the 80-column card followed by a smaller 96-column card that allowed for smaller equipment and 20% more storage on a record. 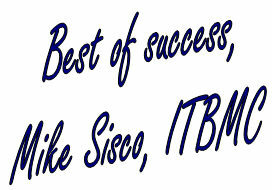 At Kaneohe we used IBM equipment – the 1401 Computer System. 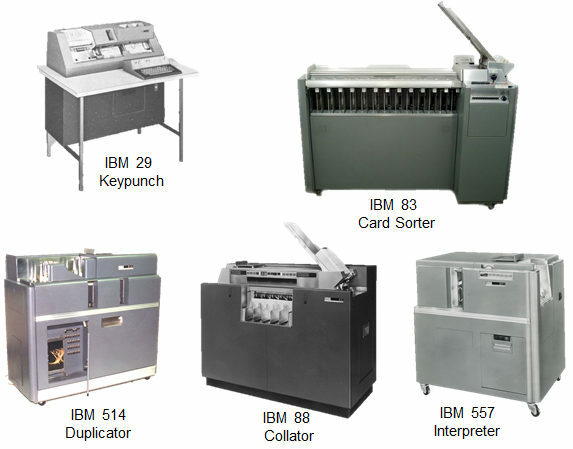 Punched card processing took lots of equipment to do very specific things like sorting, collating or merging card decks, interpreting and printing newly punched cards, etc. Lots of equipment and a very manual, tedious process, , , but it was light years ahead of pencil and paper. 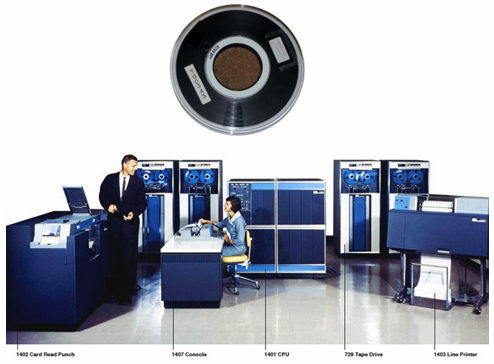 At first, vendors like IBM simply added a tape drive to complement their card system like the 1401 processing environment below. Do you remember the old tape libraries? 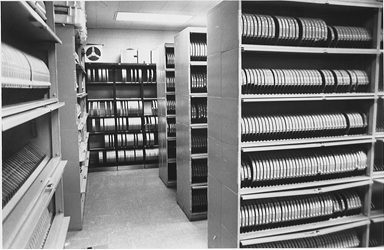 Larger organizations literally had dedicated resources just to manage the tapes. 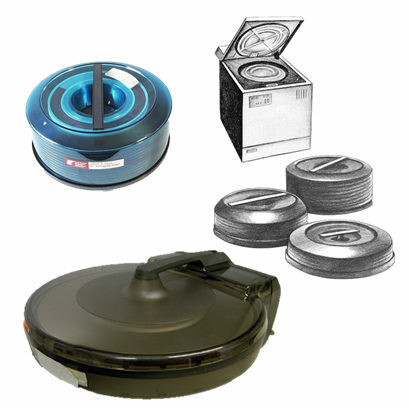 Disk storage opens up new horizons in storage capacity, speed and reliability. 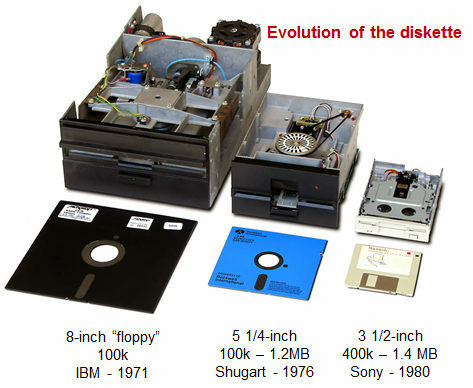 Initially there were removable disk packs that increased in size over time to hold more data. Then more versatile drives came along with considerable more storage and speed and built to be more sturdy. Diskettes hit the scene with the IBM System/32 around 1976. This system used an 8-inch “floppy diskette” for backup and software portability. 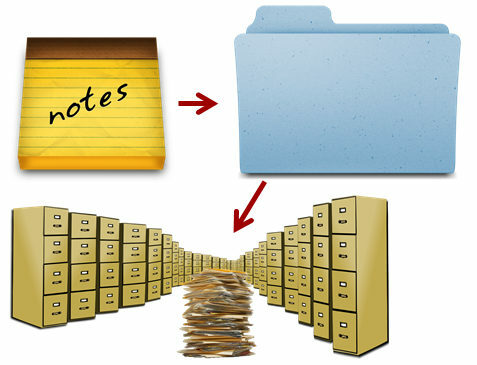 With the introduction of the minicomputer and emphasis on business applications software to run on them small and mid-size businesses could afford to computerize their business. You can see the trend – smaller media with more storage capacity plus they are becoming more damage proof with simpler read mechanisms as the technology evolves. The need for more external storage increases quickly as computing power increases with the PC and more software applications become available. CDs and ZIP drives fill the need for a short time. 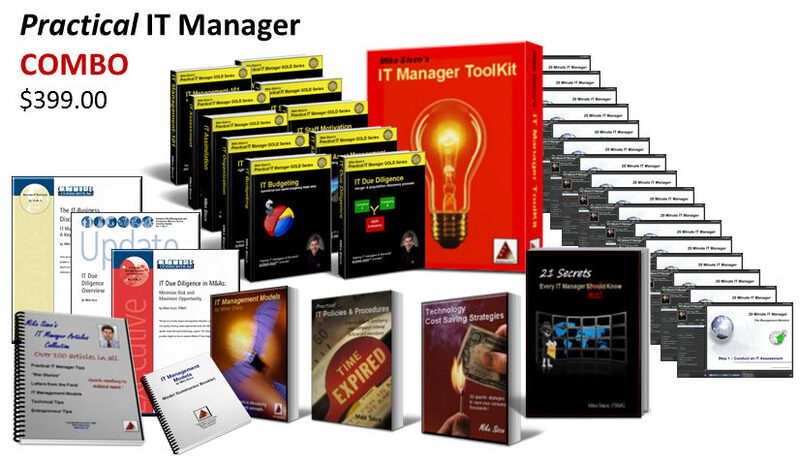 Newer applications include more data, images, video and audio, , , applications that literally devour disk space. 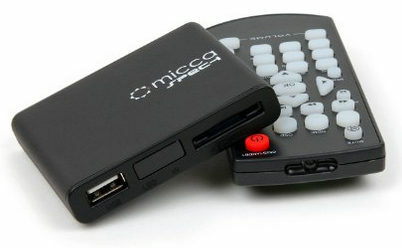 The need for more storage space, faster access times, and portable media is the new era of computing storage. As technology improves, the advances in these areas move forward faster. Flash drives started out with 16MB, 32MB and 64MB when they were first introduced. Now you see flash drives no bigger than your thumbnail that hold upwards of 512GB and there are plans to put up to 2TB of data onto a flash drive in the near future. 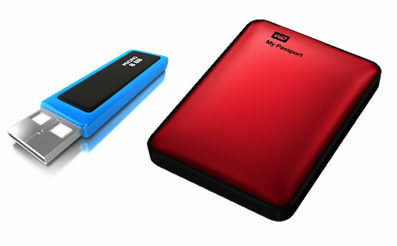 External backup drives like the one shown above are already storing terabyte levels of data with enormous growth expected in this area in the future. Let me put some of this into perspective for you. In 1979 I had a tour of IBM’s General Systems Division (GSD) Headquarters and Data Center in Atlanta, GA.
You have to understand, , , 16GB was huge in those days, , , but there was no graphics or video to contend with so a gigabyte of textual data was quite a lot. Today, I carry a 64GB flash drive the size of my thumbnail with me wherever I go and my laptop has far more computing power and functionality than all of the mainframes in that IBM Data Center. 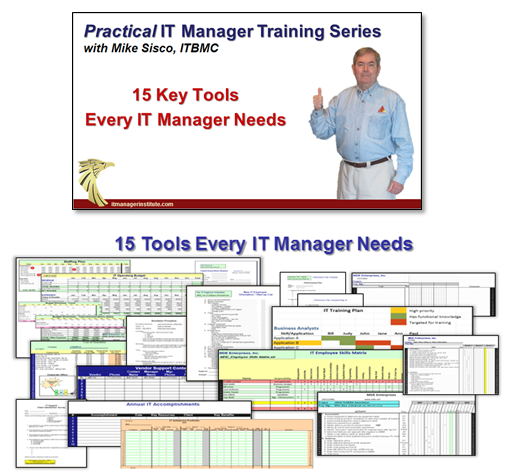 Amazing evolution of computing technology, , , plus it becomes more affordable all the time. 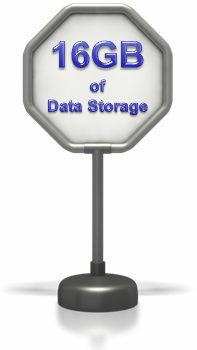 A terabyte of data storage in 1979 would have cost you over $1 million, , , today about $75.00. The next 10 years will be an amazing experience. We mailed our 2013 Christmas cards and letter to family and friends last week. 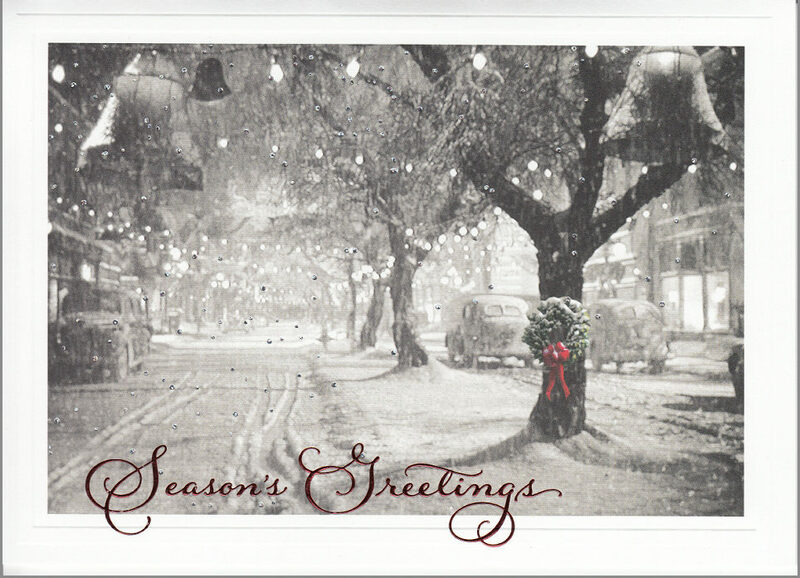 It is the 21st year we have sent a letter along with our card. Merry Christmas and Happy New Year. I hope 2014 will be your best year ever!!! 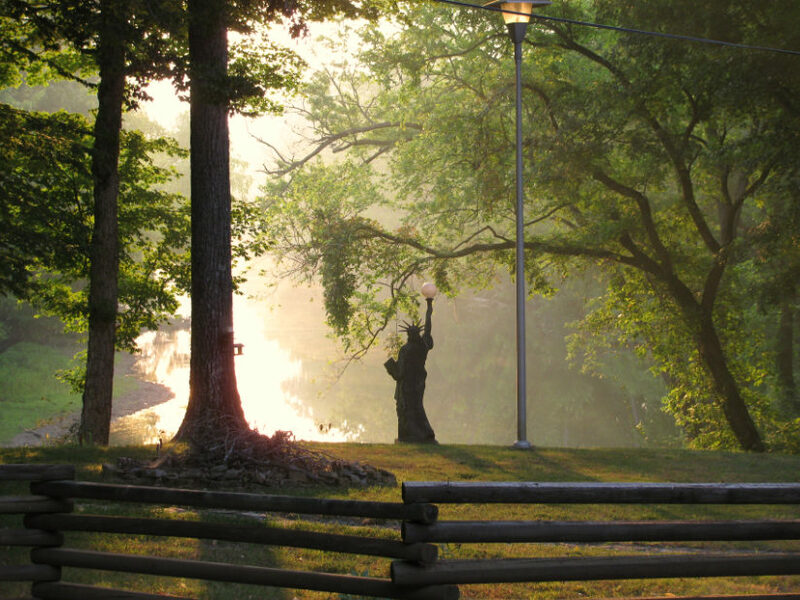 Record heat in Middle Tennessee doesn’t deter us from spending the weekend at our Camp Liberty on the Buffalo River. We were also here last weekend. It’s a different world down here, , , quiet and peaceful beyond description, , , except for the birds singing, , , the frogs croaking, , , and the fresh water “Alf’s Branch” spring next to our camp rippling its way into the Buffalo. Hot as it was yesterday – 110 degrees Fahrenheit, , , this morning at 6:00am was cool and very nice. 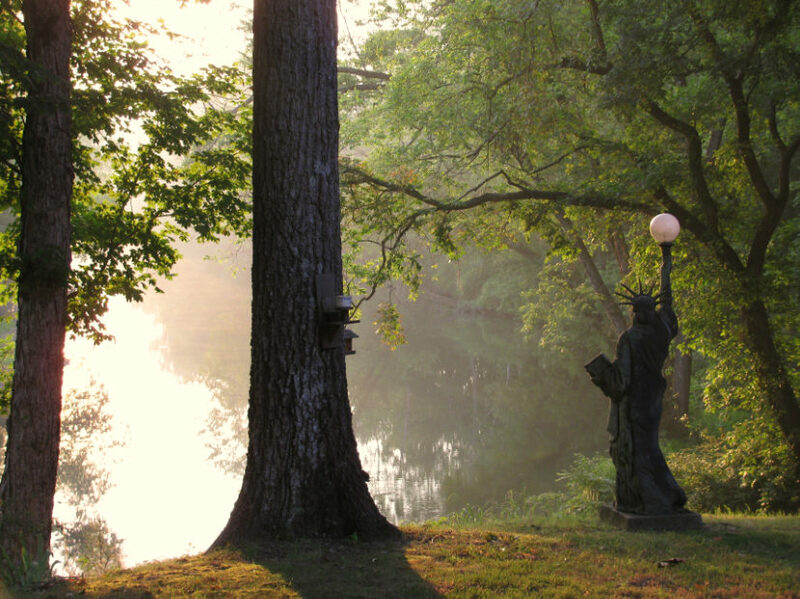 As the sun began rising above the Buffalo River, it made for some good photography time, , , here are a few photos taken this morning. 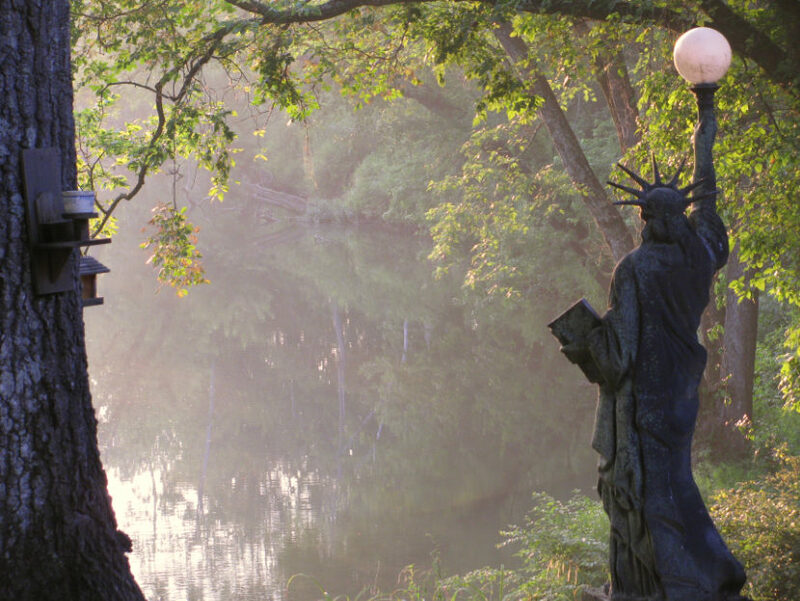 Miss Liberty as you can see is a prominent part of our camp as she watches over the river. She is why we call the camp, “Camp Liberty”. 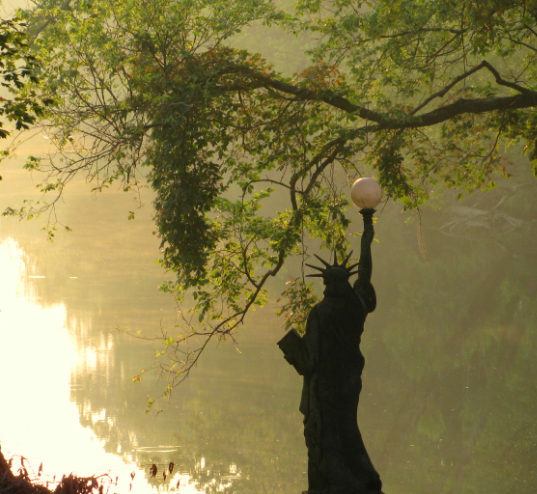 We always find our way here as we approach the 4th of July, our Independence Day. Unfortunately, we won’t be able to stay through the 4th, , , got some work I have to do out of town, , , maybe next year. Even so, we are having barbeque ribs tonight with Dorine’s family, Kenny and Cindy. Sure looking forward to it as Kenny is a great cook and it’s always fun to spend time with them. Enjoy your 4th f July. The folks at WordPress.com stats prepared a 2011 annual report for my blog. The concert hall at the Syndey Opera House holds 2,700 people. 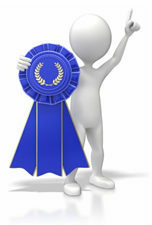 This blog was viewed about 33,000 times in 2011. If it were a concert at Sydney Opera House, it would take about 12 sold-out performances for that many people to see it. 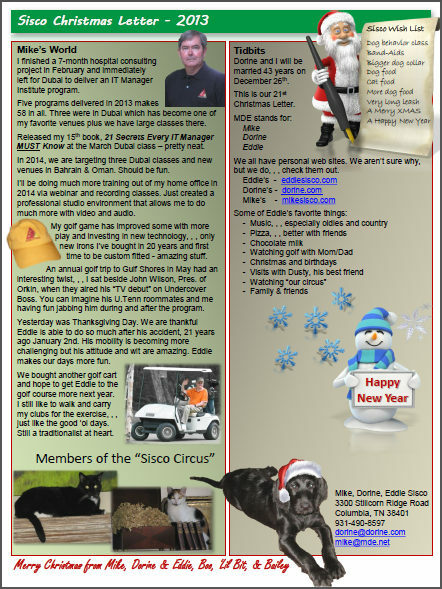 We mailed our Christmas cards and the annual Sisco Christmas Letter to family and friends last weekend, and I thought you might like to read it. After all, I consider all of you who read my Blog a friend, , , and I’ve been fortunate to meet many of you. Click on the images for a better view. 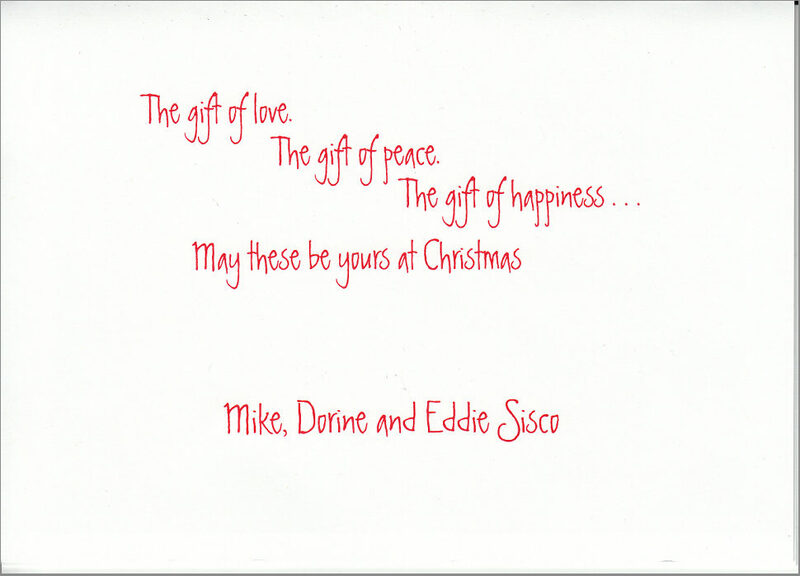 I’ve been sending a Sisco Christmas Letter with our cards since 1993, the year Eddie had his accident. Many of the early letters were an attempt to keep people posted on his progress. Over time we’ve tried to share a few memorable things that have occurred in our lives. We receive many positive comments, , , our friends and family seem to appreciate the small effort we go through to keep them aware of what’s going on with The Sisco’s, albeit such a small piece of information on two pages. Send me your comments, , , maybe you do something similar.